In its second year, everyone coming in from all over the world is wondering what to do after they have been at the F-1 track. Our answer? Join the star-studded guest list expected at My Yacht™ Club’s exclusive event over Formula 1™ grand prix weekend in Austin this week, November 15-17. It features the most expensive club table in Texas, celebrity attendees and a special golden presentation to the winning driver. Sound like fun? Buckle up. My Yacht™ Group, an international luxury events producer, returns to Austin with its three-night Monaco-style nightclub – My Yacht Club -- during the 2013 Formula 1 United States Grand Prix™ weekend, November 15-17. Recognized for hosting exclusive events on super yachts around the world, My Yacht Group returns to Texas, transforming the Ballet Austin complex in downtown Austin into a sophisticated, dazzling nightlife experience complete with 24-karat gold-flecked champagne, the Comte de Mazeray Golden Girls, celebrities and what may be the most expensive club table in Texas at $50,000 for one evening. 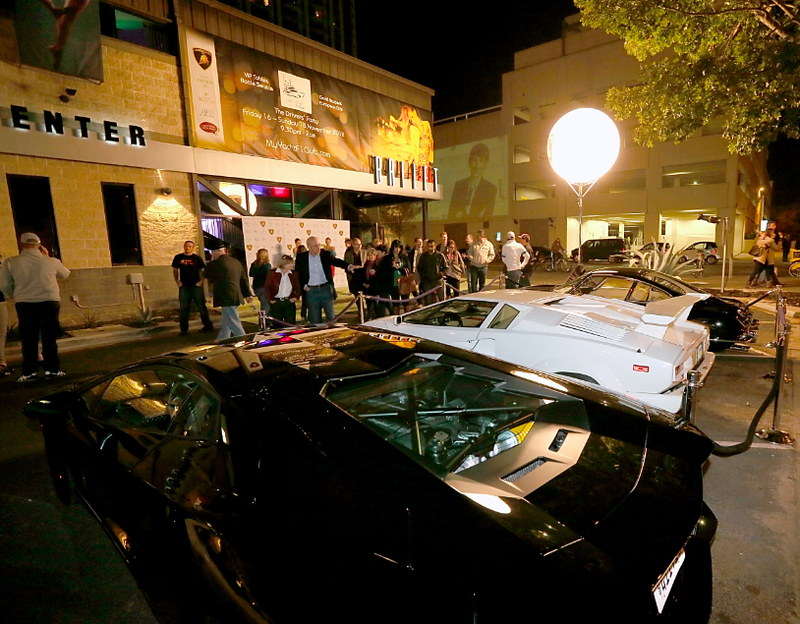 The debut of the 2012 F1™ race in Austin brought a new level of international glam. The My Yacht Club party was among the most talked about events of the weekend with its bright lights, Lamborghinis, Patrón green carpet and ballerinas welcoming guests upon entry. Once inside the building, party goers enjoyed the Grand Prix Lounge and Monaco Dance Room alongside famous faces such as actors Matt LeBlanc and Jared Padalecki, John Paul DeJoria, co-founder of Paul Mitchell Systems and Patron Spirits, F1 drivers Alexander Rossi, Kamui Kobayashi and VItaly Petrov, and even a few crown princes. In 2013, the party expects to welcome notable names such as Leonardo DiCaprio, Jay Leno, singer Laura Bell Bundy, actress Nichole Galicia, the stars of hit NBC show Revolution, F1 driver Felipe Massa, former F1 driver Niki Lauda, actor Rick Yune and Sting. The presentation of a custom-made hand-embossed 6-liter Methusalem of Comte de Mazeray champagne encased in 24-karat gold leaf will be made to the winning driver on Sunday evening. Only 20 of these exclusive Methusalems have been produced; the bottles will make their United States debut at the Austin event. In addition, a bottle signed by the drivers and all celebrity guests of My Yacht Club will be auctioned after the weekend, with proceeds benefiting Ballet Austin which The Society Diaries also supports. .
Here’s the deal: If you want to be a part of the fun, for more exclusivity, mention that you learned of it from The Society Diaries magazine. Club tables are available at four different levels ranging in price from $4,500 to a new V16 Table at $50,000; individual VIP tickets are $300. For 2013, My Yacht Group introduced the Methusalem V16 Ultimate Table for up to 20 guests in a private section including security, Golden Girls, plus two hand-embossed six-liter commemorative Comte de Mazeray bottles. St. Tropez/Monaco based DJ Alex Karlsson returns to the party, mastering the rhythms from the Red Bull soundboard. Attendance is limited to 500 each evening. For more information about table bookings, individual passes and other inquiries, be sure to mention The Society Diaries magazine for VIP treatment by contacting Info@MyYachtClub.com, or visit http://www.myyachtclub.com. Track packages are also available.